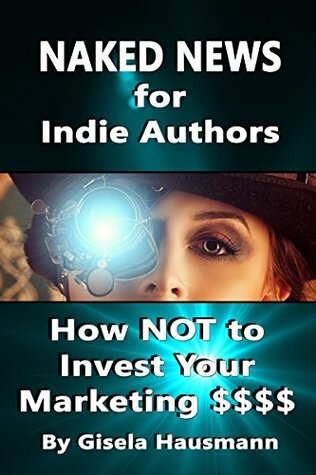 In this new book “Naked News for Indie Authors: How NOT to Invest Your Marketing $$$” marketing expert, email evangelist, and indie author Gisela Hausmann reveals how indie authors can avoid wasting time and money. She also offers free and/or cheap alternatives to many common marketing methods and myths. The book includes five helpful illustrations. Just reading her book has risen my expectations and optimism, she is informative and direct. Gisela opens our eyes to how to recognize opportunities. Thank you for another “Naked” truth. Gisela Hausmann is a 29 yr. self-publishing industry veteran, an email evangelist and a top reviewer. 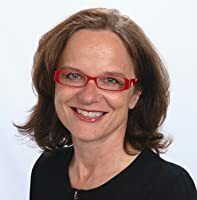 Her work has been featured in regional, national, and international publications including Success magazine (print) and Entrepreneur, on Bloomberg, The Innovation Show – a show for Square Pegs in Round Holes, “The Brutal Truth about Sales & Selling”-podcast, and Austria’s Der Standard and Das Wirtschaftsblatt. Gisela is a graduate of the University of Vienna, Austria. A unique mixture of wild risk-taker and careful planner, she globe-trotted almost 100,000 kilometers on three continents, including to the locations of her favorite books: Doctor Zhivago’s Russia, Heinrich Harrer’s Tibet, and Genghis Khan’s Mongolia. This entry was posted in Book Review and tagged education, Gisela Hausmann, information, marketing, Naked News, overcoming disappointment, writing. Bookmark the permalink. Thank you @Chelle for featuring my “Naked News” in your blog. Thank you very much. The good news is this book went from 56 p (1st edition) to 89 p (2nd edition) to over 100 p. in this 3rd edition. More options for indie authors. YES. Thank you again for featuring it.